Opencart POS Native App Builder will convert the Opencart based store into the native POS mobile application. The Mobikul Point of Sale (POS) Application has the tremendous features and functionalities with great user experience. The app will provide a user-friendly experience to your sales agents. The sales agents can easily handle the application on their tablets. The Native Application where the merchant / sales agent can easily create the orders by using the application on his tablet device. Also, it works in offline mode. The Mobile App supports all the type of products which are supported by default Opencart Store. 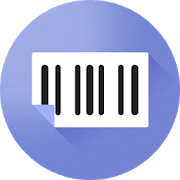 For Example – It supports Simple, Product with options, Downloadable, and, Virtual. The POS App supports the barcode scanning as well. The sales agent/cashier can scan the barcode by using the device camera and the products will be added automatically to the cart. The Sales agent can print the invoice.Print receipt works with any wifi printer or Bluetooth printer, and for USB we have integrated it with EPSON PRINTER SERIES: TM-T82 printer. The Sales Agent can add new customer by using the native POS App at any time. If the customer is new then the sales agent can add the customer record during the checkout process and can complete the process. The Sales Agent can provide the additional discount (fixed or percentage) to customers during the checkout process. Also, if the customers have any coupon code for discounts then it can also be used at Point of sale’s checkout process. The Sale Agent can see the products which have low stock quantity at the store. The App has an option where he/she can see all the products with low stock quantity. The minimum low stock quantity can be set from the Opencart Admin Panel. The sales agent/cashier can generate the request to the supplier about the inventory fulfillment. He/She can make the request regarding the particular product with required quantity. Also, he/she can view all the request in the Request History section of the application. The Native Point of Sale system supports the multilanguage and multi-currency.The sale agent can choose the language as per the comfortability and can set the desired currency according to the country or store requirements. The Application is fully native. It has the better user-friendly experience so that the sales agent can easily handle all the transactions over the mobile platform. The mobile application is contributing a tremendous role to creating a competitive advantage for your eCommerce Store and you need to have the best mobile application which is fully compatible with default Opencart. Mobikul Opencart POS Native App Builder will provide you the best mobile app in all aspects of technology and eCommerce business fields. If you want to customize the app as per your business needs then we also do provide customization service (a paid service). 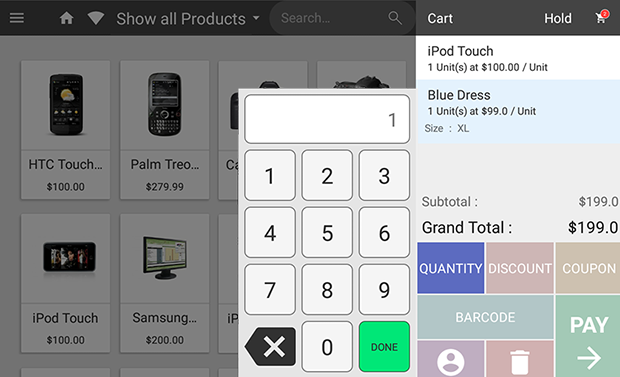 The Mobikul Opencart POS Native App Builder is fully customizable as the code is open. By using the source, you can also customize the app according to your business needs.